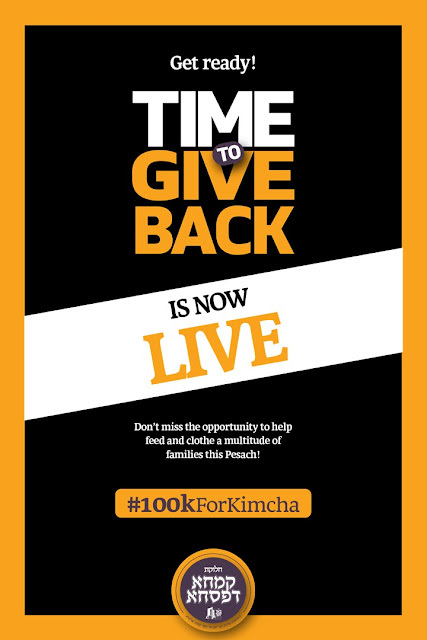 It’s time to give—give back that is! Give back to the Yungleit who Daven for you, say Tehillim for you, go to Kever Rochel and learn for you. Join us for an unprecedented opportunity to show your support and appreciation for the Kollel Avreichim and Yungleit of Beir Yosef. Before Pesach each year, Beir Yosef, under the direction of Rabbi Yisroel Yosef Kohn Shlit”a, distributes extra funds to help their Yungleit meet the extraordinary expenses associated with the upcoming Yom Tov. Living in a state of poverty and lacking basic needs is debilitating and disheartening. We can create a unique freedom for these special families and provide them with true Simchas Yom Tov. Your donation will allow a family to prepare a proper Seder and celebrate Pesach with true dignity and joy. It will enable children to be clothed in respectable garments and eat nourishing food. As these pious men support our world with their Torah study, support their world with your generous donation. Over the next 48 hours, we have the opportunity to gather enough funds to properly give back to these unique souls. Let’s give back together!